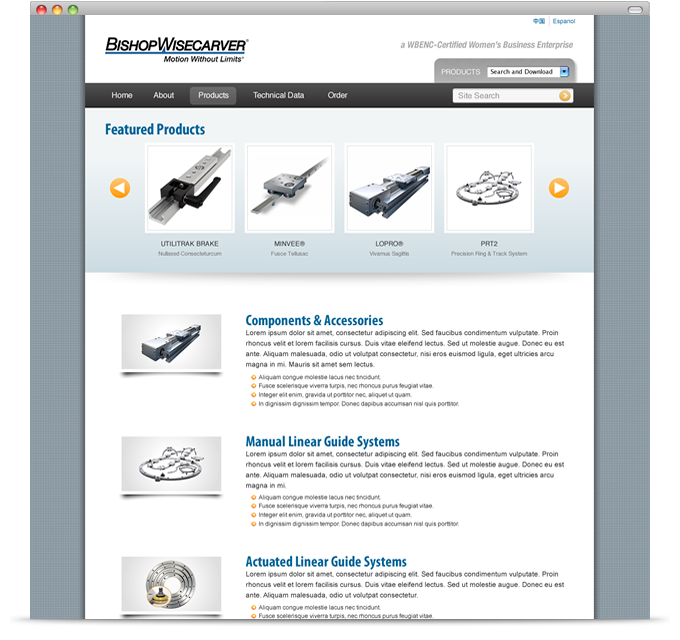 Bishop-Wisecarver is a family owned manufacturing company incorporated in 1950 that specializes in guide wheels and guided motion technologies. 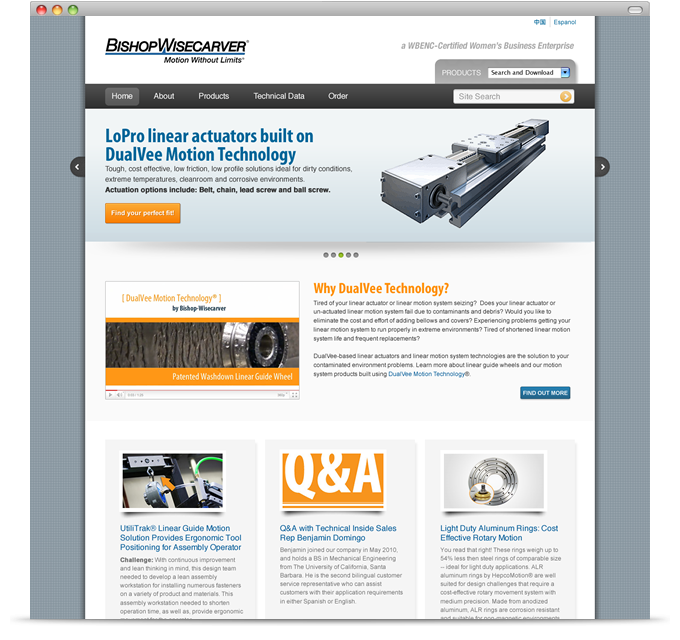 I worked closely with their team to redesign their site to better showcase their products, and their social media presence. 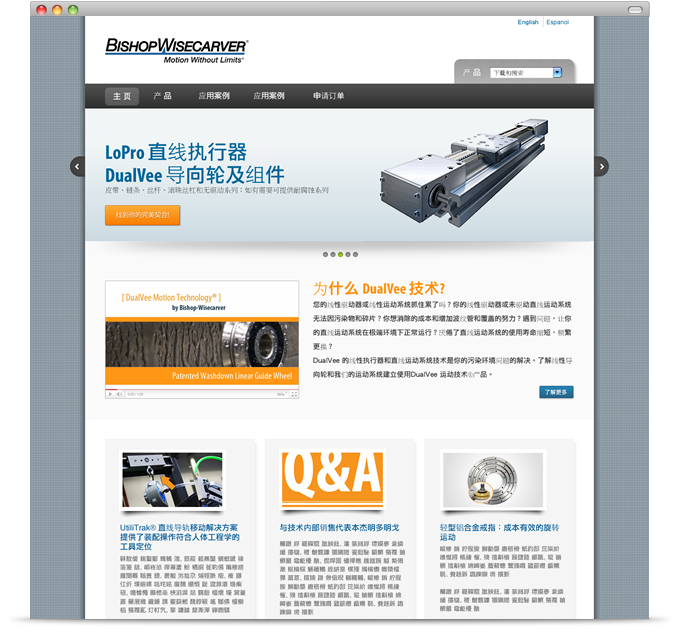 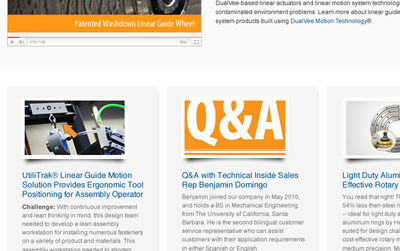 This was also the first time I designed a Chinese version of a website!